Classic and Prestige Car Hire offer very competitive rates. A charge of $25 per 15 mins for each car is incurred if the duration of the hire exceeds the pre paid booking. Half hour increments at pro rata rates. The maximum number of passengers per car is limited by transport regulations to 4 persons. A deposit of $100 per car is required to secure your booking. The balance of the fee is due two week prior to the wedding. We reserve the right to substitute vehicles in case of mechanical emergencies or extreme weather. 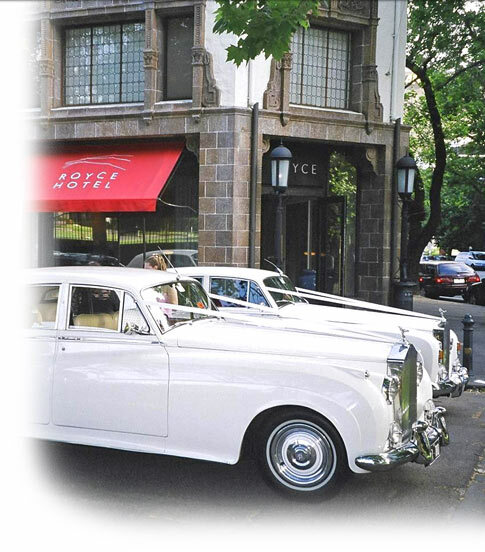 Classic and Prestige Car Hire take no responsibility for damage to any property or to any item of clothing worn by members of the bridal party. Children under the age of 7 cannot by law be carried in the cars as there are no facilities to fit suitable child restraint seats. outside of this region. A surcharge may also apply for excess distances travelled within the metropolitan region. Will the car booked be the car provided?